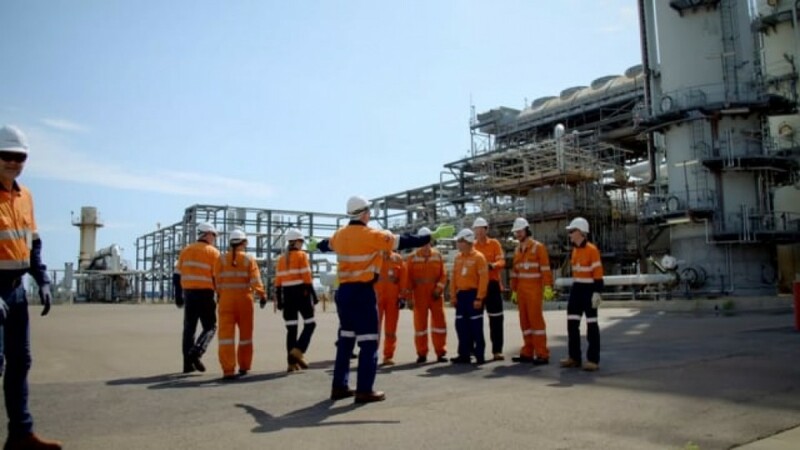 A group of leaders in the oil and gas industry came together in Darwin recently for a tour of Darwin LNG, all in the name of safety. This tour was an opportunity for industry representatives to witness how safety challenges are managed at Darwin LNG, and to engage in meaningful conversation about safety and best practice with those who work on the ground. Safer Together is a new model of safety collaboration for the oil and gas exploration and production industry in Western Australia and the Northern Territory that was launched in 2018. It’s an industry driven initiative that consists of operating companies and contract partner companies who are committed to creating the leadership and collaboration needed to build a strong and consistent safety culture.